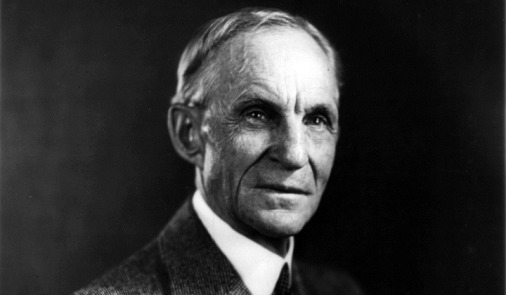 The Henry Ford Estate and organizations will celebrate automobile pioneer Henry Ford’s 150th Birthday throughout Dearborn will host a community party on July 27. “Coming Together: A Celebration of Henry Ford’s 150th Birthday” will take place from 10 a.m. to 4 p.m. at the Henry Ford Fair Lane Estate in Dearborn. As part of the celebration, Henry Ford Community College culinary arts students will provide attendees with gourmet food and treats inspired by the Ford family. A specially created Henry Ford-themed cake and ice carving will showcase the talents of the students while honoring the college’s namesake. The day-long party features live music reminiscent of Henry and Clara Ford’s interest in preserving traditional American genres; and dance demonstrations focusing on the Fords’ love of dancing and Fair Lane’s history as a place where many parties were held. Other activities include a special Dearborn Farmer’s Market, and a display of influential Ford automobiles highlighting outstanding innovations from Ford’s career. The public can also tour the estate gardens, and relax on the riverfront grounds while enjoying specialty foods from a Food Truck rally or gather with friends in the Tashmoo Biergarten. July 27 will also mark the official transfer of the estate from the University of Michigan to a newly formed not-for-profit education organization. On this day, the estate will begin a new journey as it is restored, re-imagined and positioned for the 21st century. One of the highlights of the celebration will be the opportunity for the public to tour the Ford’s home before the work begins. Local, regional and state dignitaries, along with representatives from the Ford family and University of Michigan, will be on hand for a special presentation at 11:30 a.m.
“Coming Together” is sponsored by the Ford Motor Company Fund and Oakwood Health System. Other sponsors include the University of Michigan-Dearborn, Henry Ford Community College, Henry Ford Heritage Association, City of Dearborn, Dearborn Chamber of Commerce and Tashmoo Beirgarten. The Henry Ford Estate was named a National Historic Landmark in 1966, making it among the first in the nation to receive the designation under the newly formed National Register of Historic Places. The estate served as the family home of Henry and Clara Ford from 1915 until 1950, when upon Clara’s death, it was given by the Ford family to Ford Motor Company. The company donated the estate and the farmlands to the University of Michigan for construction of the University of Michigan-Dearborn campus in 1957. For more information on the “Coming Together” celebration, visit www.henryford150.com.